Long-term sickness absence can be one of the most sensitive things to manage in an employer/employee relationship. As an employee, you want to know that you can concentrate on your recovery, without having to worry about your workload or if you have a job to go back to. As an employer, you want to support your employees and do what you can to facilitate their return to work, but at the same time, you have a business to run and that can lead to some tough decisions. On either side of the relationship, it’s important to know your rights and responsibilities. 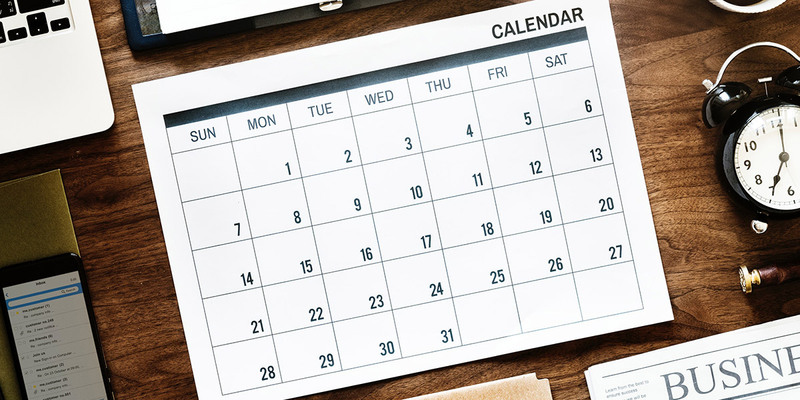 Long term sickness absence is typically classed as sick leave of 28 calendar days or more. Most short-term absence is made up of the odd day off here and there: colds, sickness bugs and hangovers. Your short-term sickness policy should differ from your long-term policy, and your process should be focused towards reducing the number of sick days taken. Check out our article on The Bradford Factor and How to Use It for more details on how to achieve this. Long-term sickness reasons can vary from accidents to cancer, and operations to mental illness. Most employees on long-term sickness absence will recover and eventually return to work, although, to begin with, they may need to return on reduced hours. Unfortunately, some employees won’t be able to return and those will need to be handled sensitively. We asked Duncan Urquhart from NSL-HR, – if an employee is on long-term sick, how long do you realistically have to wait for the employee to return? During sick leave, an employee is entitled to statutory sick pay (SSP) for up to 28 weeks. Some employers will limit pay to SSP, however, some employers offer a more generous sick pay scheme. Either way, ensure that it’s documented clearly in both your sickness policies and your employees’ contracts. Employees are also entitled to accrue annual leave as normal during sick leave. Any entitlement accrued during long-term sickness absence can be carried over in these circumstances. This applies even if your standard annual leave policy does not permit entitlement to be carried over. It’s important for both parties to stay in touch during long-term sick, although the frequency of contact may need to be carefully agreed depending upon the nature and severity of the illness. Managers should use discretion or have a conversation with the employee about how much contact is appropriate. It’s a good idea to make it part of your policy to contact the employee after 28 days’ sickness, the point at which it transitions from short to long-term. Unless there is a reason or agreement to limit the amount of contact, it’s wise to make contact on at least a monthly basis. Once an employee has been absent with sickness for more than a week, they are required to submit medical evidence, usually in the form of a fit note from their doctor. If the employee will not be returning to work after the end date of their fit note, they must obtain a new fit note from their doctor. As an employer, you have a right to request contact with the employee’s GP to find out if and when they might return to work. It is vital that you obtain the employee’s consent to reach out to their GP. We asked Duncan what are an employers’ options if the employee refuses consent? You should always perform return to work interviews when an employee returns from sickness absence, even if the absence is only for a day. These interviews provide an opportunity to ensure the policies are being adhered to, and to discuss any ongoing problems an employee might have. When an employee returns from a period of long-term sickness absence, it may be worth having their return to work interview before they return, to allow time for any necessary adjustments to be made to the employee’s working arrangements and conditions. It’s important that your sickness policies are clear and your employees are trained in the need to treat absences related to disability and pregnancy differently. Dismissing a disabled employee or giving a warning for poor attendance could amount to discrimination if the absence is related to their disability. When dealing with a pregnant employee’s sickness record, a good approach is to record absence that is pregnancy related separately from sickness absence. Dealing with employees on long-term sickness absence can be a delicate balancing act to ensure you provide the support both the employee and the business need. Take the time to think about what you want your long-term sick process to look like and ensure it’s documented and communicated to your employees.